Marketplaces and prices shown matched UPC number 715764270124 during our search. The Petmate Extreme Log Cabin provides an outdoor shelter for pets year-round. Featuring a weather-resistant construction, the dog cabin's sealed protective coating, off-center entrance, raised floor and slanted asphalt roof keep pets comfortable and dry throughout the year. The solid wood and stainless-steel hardware provide long-lasting, durable protection for pets. The pet log cabin's adjustable feet balance easily on various types of surfaces for simple, worry-free placement. Made with a wood finish and black edges, the Extreme Log Cabin's traditional design provides a beautiful addition to any backyard. The cabin assembles easily in three quick steps. The Extreme Log Cabin is available in small, medium, large, and giant to accommodate all sizes of pets. Help your dog beat the heat and bear the cold with the Extreme Outback Log Cabin Dog House. 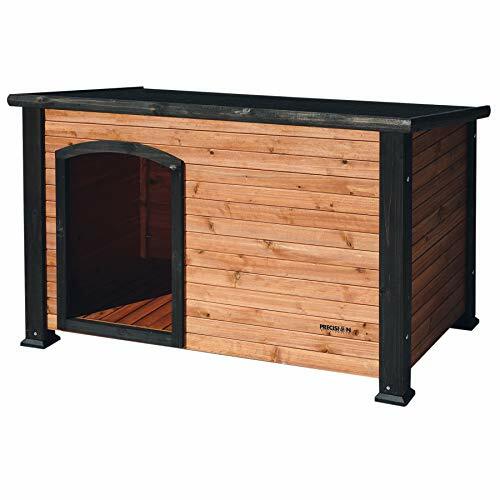 This dog house features solid fir wood construction with a raised floor and slant-roof design to keep the interior dry and your dog comfortable. An off-center entrance provides increased shelter from the elements and allows your pet to turn around inside while easily. 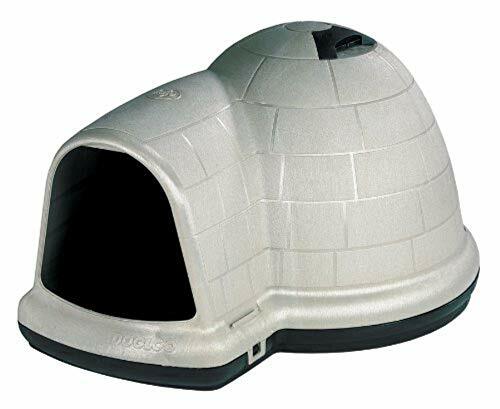 Waterproof, plastic feet and an asphalt shingle roof result in a dog house that is built to provide viable shelter, even in extreme weather conditions, whether hot or cold. A handsome dark and medium wood two-tone finish produces a natural, rustic beauty that will enhance the appearance of your outdoor setting. 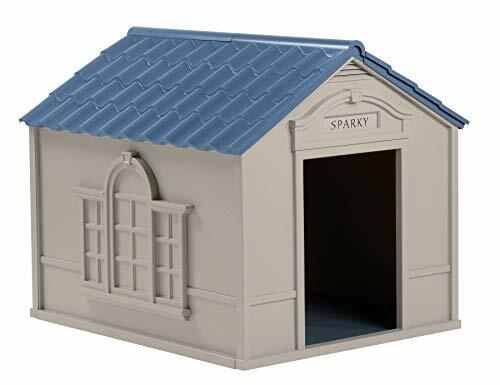 This dog house is available Small, Medium, and Large sizes. Assembles in three simple steps. This Extreme Outback Log Cabin is upgraded in that it features shingle material and feet protection. The Extreme has asphalt shingles to protect against extreme weather conditions. The Extreme model includes waterproof plastic caps for the feet to protect against moisture and extend the life of the dog house. : 16.5W x 25.2H in. )Note: The outside dimensions are measured from the outer points tip to tip. The inside dimensions are measured from inside the house, wall to wall, floor to roof. 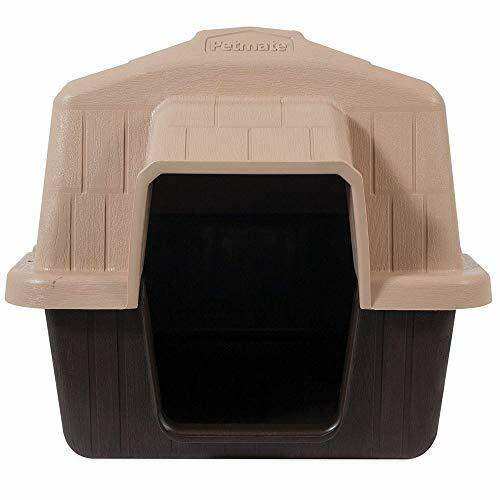 All-wood "cedar" colored dog house with weatherproof, asphalt shingled slanted roof, with plastic adjustable feet for uneven surfaces. Clear directions for easy assembly.